It’s a well documented fact that breakfast is my favourite meal of the day. There is truly nothing better than a long, lazy morning where you can really make a fuss of breakfast. Endless cups of tea, pjs and a laptop full of fun articles. 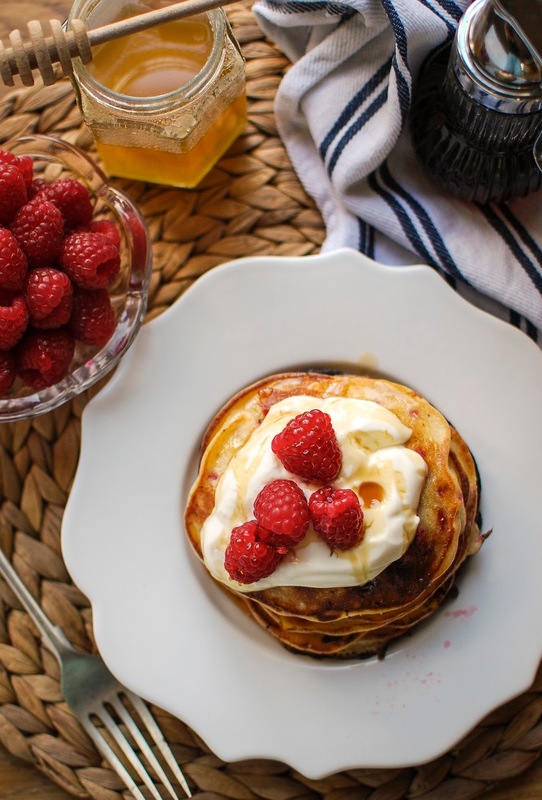 The only thing missing, pancakes and these raspberry ricotta pancakes sure do hit the spot! I have to admit, when it comes to big breakfasts I usually opt for the savoury side of things. Sometimes though I’ll wake up with a wicked craving for a sweet treat. 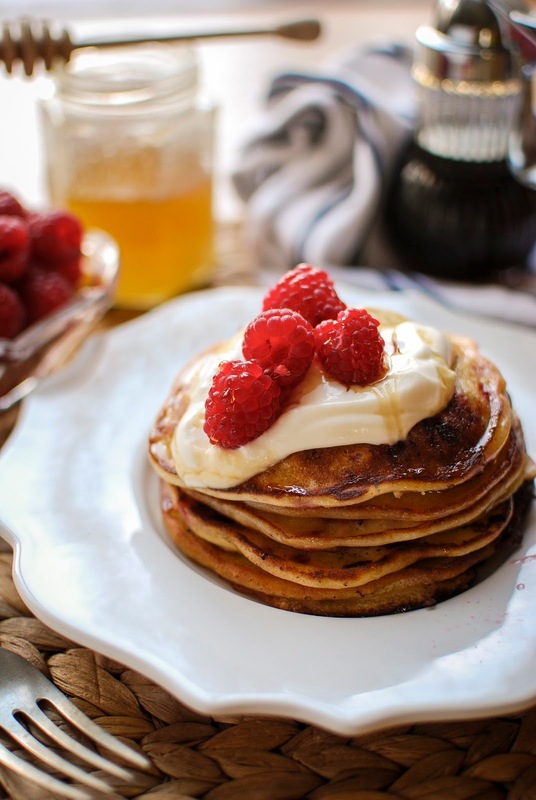 On days like this, only pancakes will do! These pancakes are so super soft and fluffy, the ricotta really gives them the best texture. Not only are they delicious but they’re super adaptable too. I can only imagine how delicious they would be with a handful of white chocolate chips and a nice grating of lemon zest. Are they any other breakfast obsessives out there? What’s on your plate first thing in the morning? There is truly nothing better than a long, lazy morning where you can really make a fuss of breakfast. In a large mixing bowl stir together the flour and sugar. In a large jug whisk the egg yolks, melted butter and buttermilk, pour the wet ingredients onto the dry and mix until combined. In the bowl of an electric stand mixer whip the egg whites to soft peaks and fold into the pancake batter followed by the ricotta and raspberries. Heat a tablespoon of oil in a large frying pan over a medium heat. Dollop two tablespoons of batter per pancake into the hot pan and cook for 2 minutes per side. Continue till you’ve used up all of your batter. Serve with whipped cream, extra raspberries and a drizzle of honey.